1625-49. 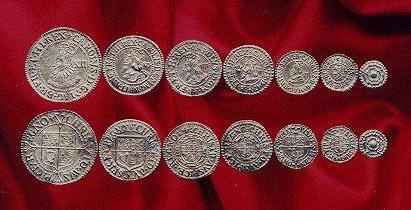 Left to right: Shilling, Sixpence, Groat, Threepence, Halfgroat, Penny, Halfpenny. The latin on the reverse "Christo Auspice Regno" translates to "I reign under the auspices of Christ"